On July 18, 2011, Pete Eyre and Ademo Freeman, crew members of Liberty On Tour and bloggers for Cop Block, will begin trial on felony wiretapping, resisting arrest, and trespassing charges. The charges stem from an incident in July of 2010, when they were attempting to post bail for Rich Paul, who had been arrested the day before, at the Franklin County jail. Pete had initially also been facing felony firearm/ammo and VIN manipulation charges as the result of an illegal search of their vehicle, affectionately dubbed MARV, but those charges were dismissed earlier this week. "On Thursday, July 1st 2010 Pete and I headed into the Franklin County Jail to bail out Rich Paul, who had been arrested the day before. We were initially told that we could not film in the lobby by Franklin County Sheriff’s but later were told we could do so. We left and 15 minutes later returned with the bail money and Pete’s ID but were then told that we were not permitted to film on the property. We stated that public officials can be recorded while conducting their duties, that no one in the building had any expectation of privacy and that we had our cameras as a means of protection as well as accountability for everyone involved. It was those with badges who then took action against us for standing our ground and doing what we believe is right – actions that did not harm anything. Finally after 12 + hours in our cages we were taken to court to face a judge. We finally learned what our charges were: felony wiretapping and resisting arrest for us both Pete also has felony firearm/ammo and VIN manipulation charges." Review the huge Meta post, which covers every blog, video and document(s) pertaining to their case(s). Watch the “Greenfield, MA” playlist (25 videos) featured on CopBlock.org’s YouTube channel. Watch the 27-min documentary style video that covers everything from July 2010 to February 2011. In reality, the charges are one of many instances over the past few years in which police have arrested people for filming them in order to avoid being held accountable for their actions. The misuse of wiretapping laws to prevent video taping has been one of the prevalent methods employed recently in several states. Not only were these wiretapping laws obviously never meant for such a purpose, but courts on all levels and throughout the country have consistently found that there is no expectation of privacy in a public place and therefore no restrictions on filming someone. Police and other government employees themselves often cite this when justifying surveillance policies, such as red light cameras. Furthermore, courts have also found in numerous cases that people have the right to "resist an unlawful arrest even to the point of taking an arresting officer's life, if necessary." so if there is no valid reason for someone to be arrested, then there is no reason that they should be punished for resisting that arrest. Share the above content on social media sites and/or your own blog, if you have one. Email local news outlets (Western Mass preferred but also Eastern, like Boston), Radio stations and bloggers. They’ve created a Press Release and Media Packet to make it easier for you to share. Otherwise standard emails or phone calls encouraging other media outlets to share their situation with their audience is greatly appreciated. 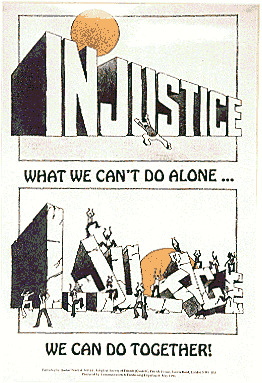 Jeff Bangston – (District Attorney prosecuting us) 413.774.3186 - ask him to do what’s right and dismiss their charges. Todd M. Dodge – (arresting officer, Greenfield Police Department) 413.773.5411 ext. 1415 - ask him to think about his rights-violating actions. William F. Martin – “Mayor, Greenfield” – 413-.772.1560 - ask him to make a public statement against their treatment/charges. Normally they send those who donate $20 or more a Cop Block T-shirt but this week, until the conclusion of their trial, if you donate $15 you’ll get your choice of an “Am I Free To Go?” or “I don’t talk to police. I record them” shirt. Donate for a video Intro/Outro or Power Power Post (your org’s banner at the end of their post $25 – see here for example).